One part of the Starck V faucet, released 2014 by German brand Axor Hansgrohe, is the smart connection system called the U-Base. The 'U' stands for universal, and in order to highlight its versatility, the brand asked Bachelor and Master ÉCAL students to design some different faucets to fit the base. 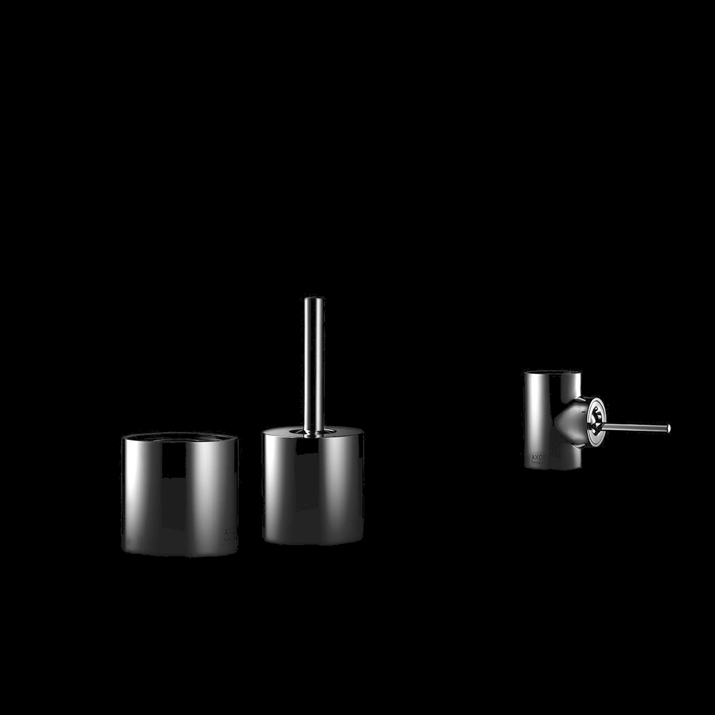 The highly tuned industrial base allows for a wide range of freedom in design for the upper spout which can be made in a more bespoke manner.